A few weeks ago I packed my bags and took the kids on a trip to Lake Tahoe that was long overdue. My kids and I absolutely LOVE Lake Tahoe and they have been asking me for months when could we go on vacation there again. I made plans but I actually kept it a secret until the night before the trip. 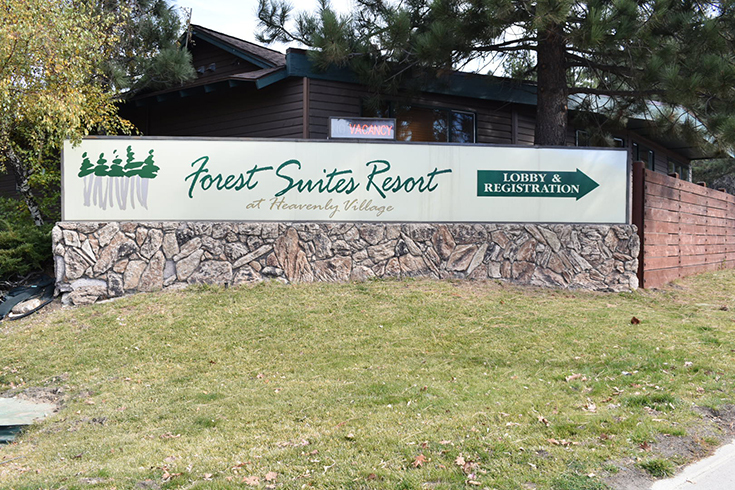 For this little vacation getaway we got in my truck and headed to South Lake Tahoe to stay at the Forest Suites Resort At Heavenly Village. When we arrived at the hotel we were all anxious to check in! This was our first time staying at the Forest Suites and I was so excited. I have stayed at a variety of the hotels in Lake Tahoe and have always wondered what the Forest Suites was like. It is tucked right behind my favorite shopping area in South Lake Tahoe and right under the Heavenly Mountain Gondola that my kids and I have had fun riding in the past. This was probably one of the largest, if not the largest suites I have stayed in. 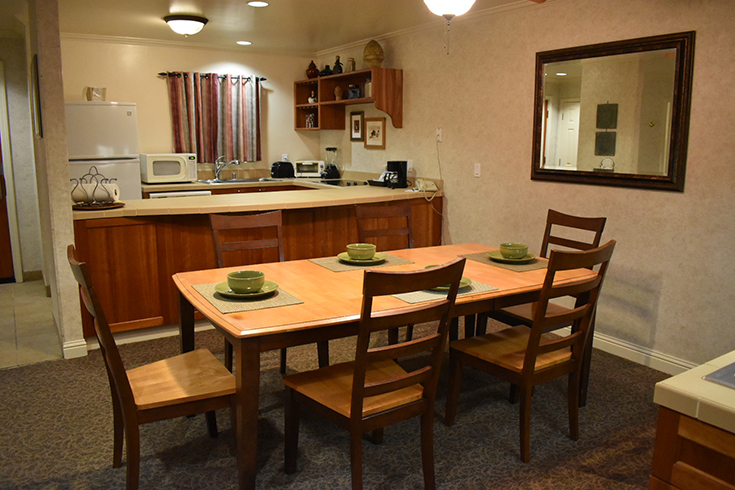 The Presidential Suite at the Forest Suites Resort is OVER 1,000 square feet. 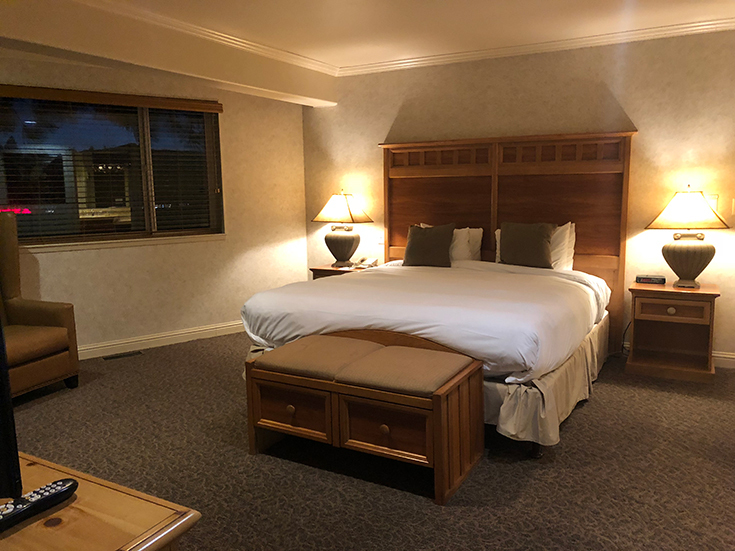 This is the largest suite at the resort and an awesome place to stay at if you are looking for the perfect spot in South Lake Tahoe that is close to shopping and even in walking distance from the beaches of Lake Tahoe. 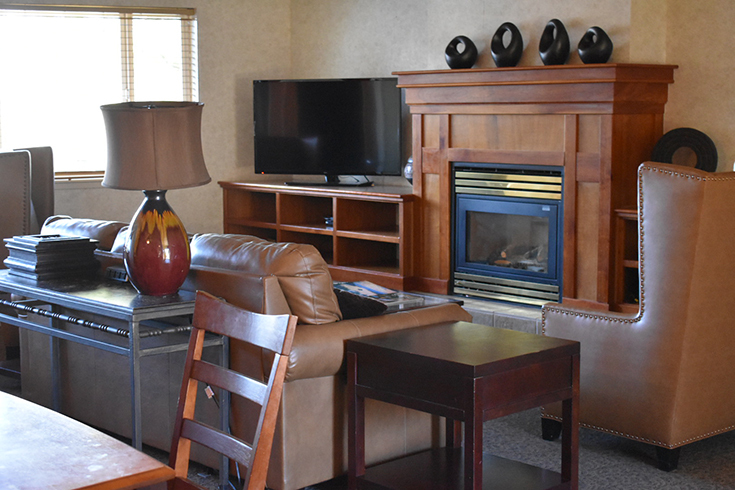 The living room area is nice and cozy with a fireplace, two lounge chairs, a leather sofa and a TV that has plenty of channels to watch in case you decide to spend time indoors and want to have a movie night or catch up on some of your favorite shows. Connected to the living room is a large dining area with a complete wet bar. 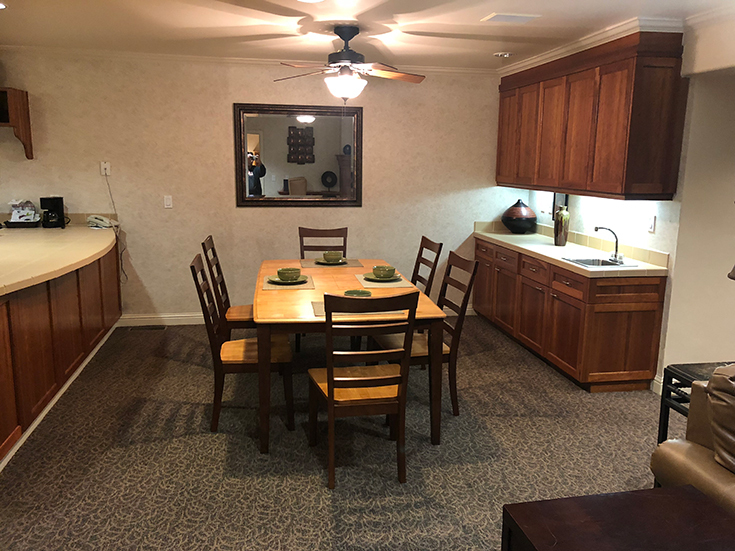 It also has a full size kitchen that has serving utensils, cookware and some small appliances like a microwave, blender, coffee pot, etc. Right next to the living room and dining area is a private master bedroom that has a king size bed with it’s own master bathroom. 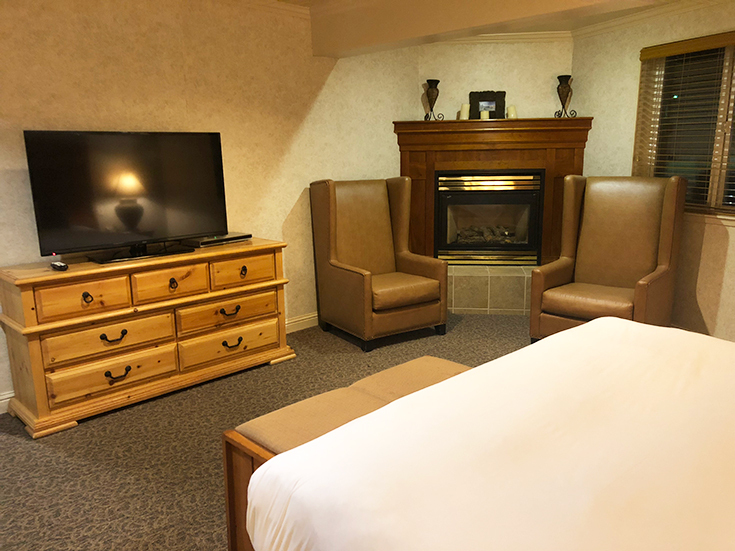 The bedroom also has it’s own fireplace and a TV if you want to watch a movie in bed. 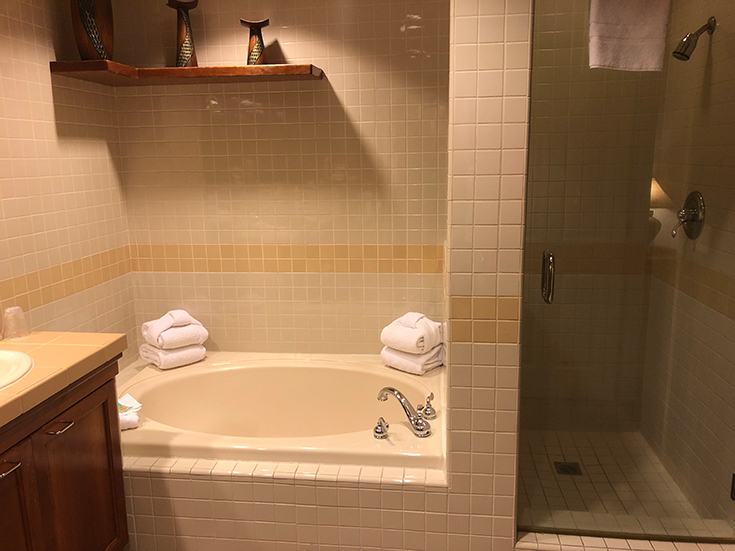 This master bathroom has everything you need, especially if two of you want to brush your teeth at the same time! It has a double vanity, a big bath tub and a walk-in shower. I LOVE how big the tub was and wish I would have brought my bath bombs. 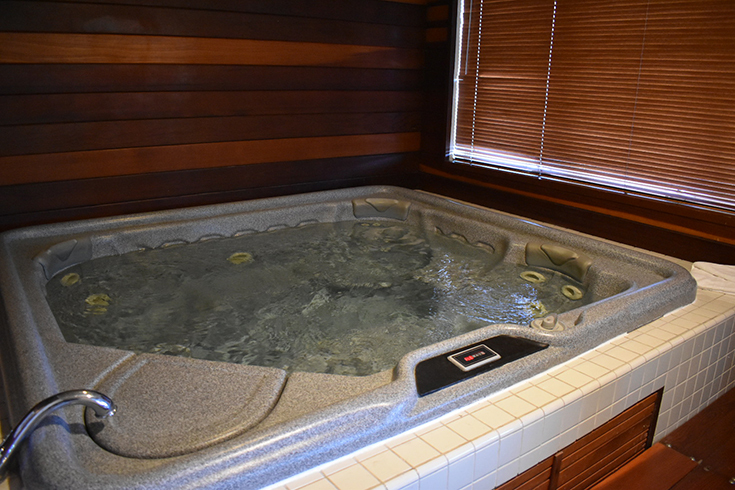 I think that my kids were most excited about the private six person whirlpool tub in a sauna room right next to the living room area. This was the first time they have ever seen a hot tub in a hotel suite! My daughter couldn’t wait to take a picture when she seen it to send to her friends. 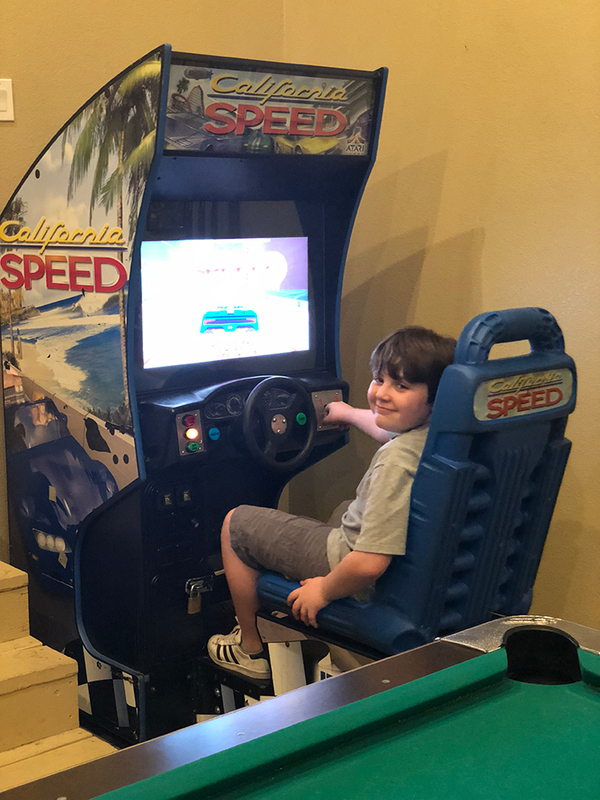 Not only did we have a blast spending time in our suite, we made plenty of memories around the resort while we were there. One thing that you will want to take advantage of when you stay at the Forest Suites Resort is the activities that they provide for FREE! 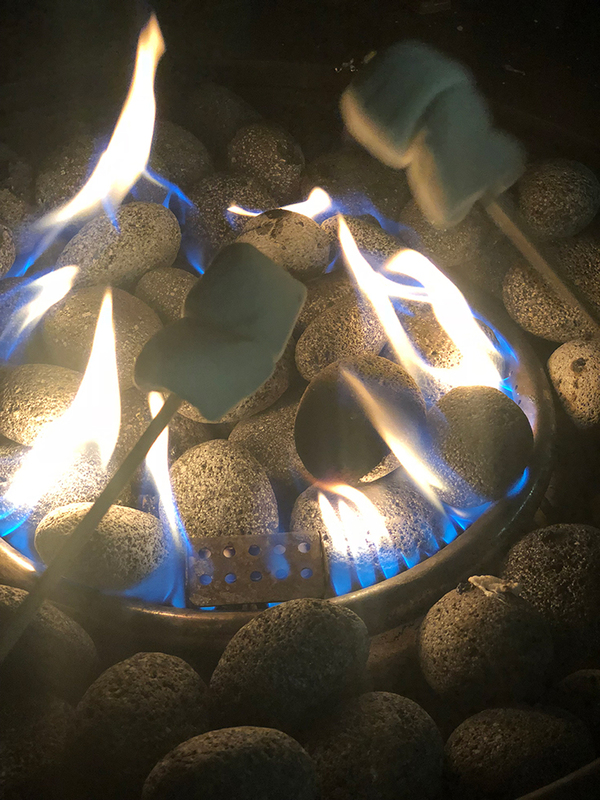 On Friday and Saturday night we got to sit next to a fire pit and roast marshmallows and make s’mores with some of the other guests. 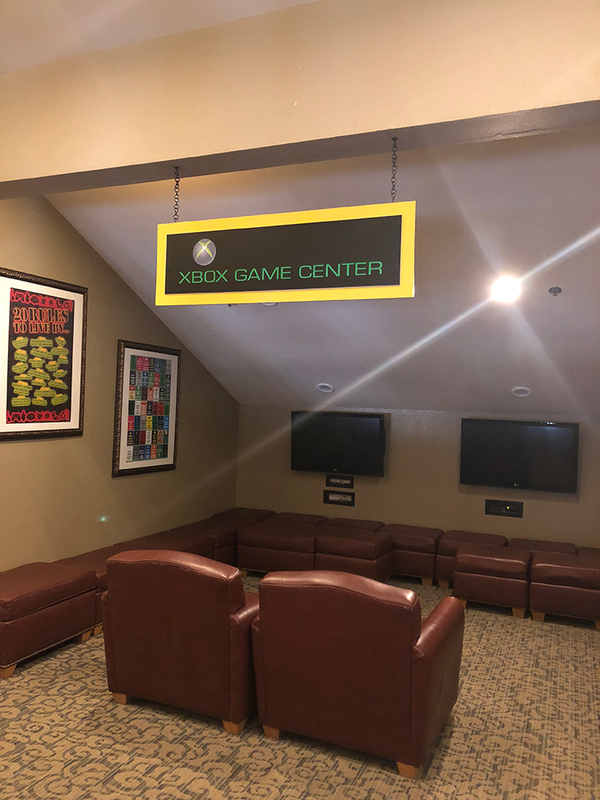 In addition to the activities that the resort offers, they have a XBOX Game Room that has a pool table, arcade style video games and a little nook area with 2 XBOX game terminals that has couches and chairs. You can visit the lobby to sign out games or maybe join in on a tournament. 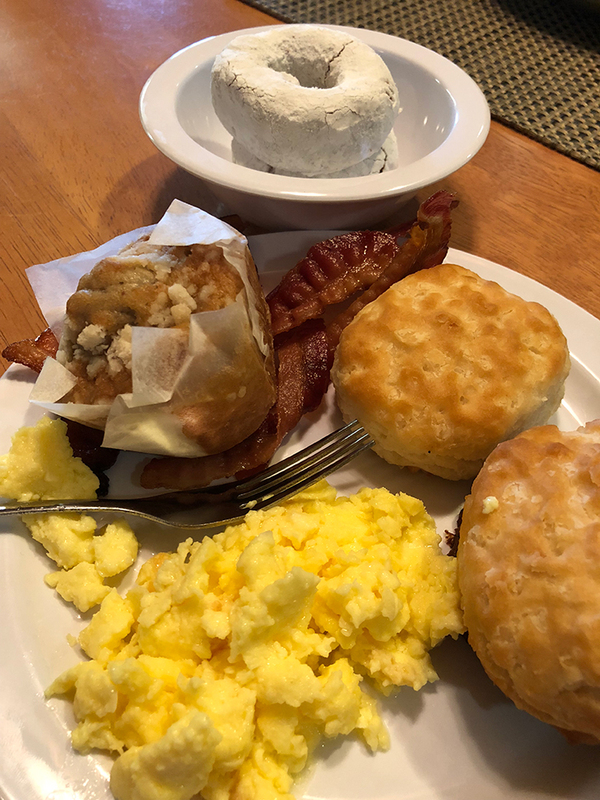 Another thing that I love about the Forest Suites Resort is the breakfast options in the lobby that come complimentary with your stay. For breakfast we had scrambled eggs, bacon, donuts, muffins and more. There was plenty of options that we all enjoyed for each of the mornings we were there. I love when hotels offer breakfast with your stay because I can save that money I would have spent on breakfast on souvenirs for the kids!